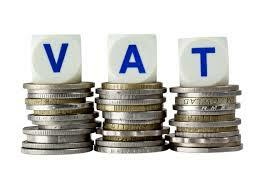 Currently set at 14%, Value Added Tax (VAT) is included in the price of most goods and services. Foreign visitors are not excempt for paying VAT on purchased goods. They may, however, claim back VAT paid on items taken out of the country when the total valued exceeds R250. The refund may be lodged with the VAT Refund Administrator’s offices, which are situated at Johannesburg and Cape Town International Airports, various land border posts and designated commercial harbors. Please note that the refund claim should only be lodged with the South African Customs Authorities at points of departure where the VAT Refund Administrator is not present. The amount of VAT charged, or a statement that VAT is included in the total cost of the goods. The quantity and full description of the goods purchased. A unique serialized tax invoice number. The amount of VAT charged, or a statement to the effect that VAT at the rate of 14% is included in the total cost of the goods. What documentation do you need to claim a VAT refund? You need an original tax invoice reflecting the seller’s name, address VAT registration number, invoice number, your name and full postal address, a complete description of the item/s purchased, the cost of the item/s in Rand with the VAT reflected separately or the cost including VAT with a statement that the price includes VAT. NOTE: Carbon copies, photostat copies or facsimiles of the original tax invoices are not acceptable. You must insist on the correct documentation when purchasing an item. You must hold a foreign passport reflecting your country of residence/citizenship as other than South Africa. What procedure must be followed when claiming a VAT refund? When departing from South Africa, you must present the tax invoices, together with all the items on which a VAT refund is claimed, at the VAT Refund Administration for inspection and endorsement of the tax invoices. NOTE: It is essential that all the items on which VAT Refund is claimed, are presented for examination. If you cannot display the items and documents, you will not obtain a VAT Refund. A letter explaining the circumstances which prevented you from following the correct procedure. The original invoices stamped either at the SA Airport on your departure, or at the US airport on your arrival back in the USA. If you cannot comply to above you have to obtain a declaration (affidavit) by a “Notary Public” declaring that he has actually seen the items and that they are in the USA. A copy of your passport showing the dates you entered and left South Africa. When the claim is submitted it is very important that you indicate in which currency the refund is required. Please be patient this process can take from two to three months. It should be noted that the VAT Refund Administrator has recently introduced a third payment option whereby the claimant can elect to have the VAT refund directly transferred to this/her credit card. The transfer will be effected within 2 working days after submitting the claim (in cases where the VAT refund is less than R3000.00) or in the case of amounts exceeding R3000.00, the transfer will be done once the claim has been audited by the South African Revenue Service, which may take anything between 4 to 6 weeks. The standard fee charged by the bank for the credit card transfer is R28.00 irrespective of the value of the refund. For more information about this payment option, please emailinfo@taxrefunds.co.za. Johannesburg International AirportCape Town International AirportDurban International Airport Produce goods prior to check-in at the VAT Inspection of Customs Counter clearly sign-posted in the Departure Hall. Hand luggage may be inspected at the VAT Refund Office after immigration. At VAT Refund Office Checks issued may be cashed for foreign currency at airport banking facilities. Beit Bridge Border Post (Zimbabwe)Lebombo Border Post (Mozambique) Produce goods for inspection to the VAT Refund Officer at the departure point. At VAT Refund Office Checks may be cashed for foreign currency at branches of Volkskas bank in Messina (Beit Bridge) or Komatipoort (Lebombo). Postal VAT refund claims will be paid by bank draft and posted to the tourist’s country of residence in the currency of that country.